Day 7 was a lot of fun to record. We enjoyed a good lunch of burgers and dogs and headed up the street for some inspiration and fresh air. Other than the possible reading of “The Kitty-Cat Bird” (Micah’s request), we were really not sure what to expect. Spontaneity was Virginia’s word for the day. The quote in chalk was from the final lines of Dr. Suess’s book Oh, the Places You’ll Go! Micah filmed the reading; I stumbled through filming the rest. Josiah and Jonathan made a valiant attempt at Axis of Awesome‘s “Four Chord Song.” I’m not sure what all Jon was strumming, but I know some of it he just made up spur of the moment. Like I said, it was that kind of day. Giving you any ideas yet for an outing during poetry month? We are thinking a whole group of us at the Marina writing on the sidewalks there could be fun! The Kitty-Cat Bird, he sat on a Fence. 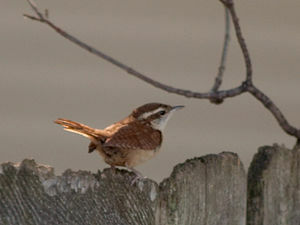 Said the Wren, your Song isn’t worth 10 cents. You’re a Fake, you’re a Fraud, you’re a Hor-rid Pretense! –Said the Wren to the Kitty-Cat Bird. –Said the Wren to the Kitty-Kat Bird. The Kitty-Cat Bird, he moped and he cried. –Did the Kitty –the Kitty-Cat Bird. –Or you’ll end like the Kitty-Cat Bird. I’ve thought about doing the sidewalk chalk thing with a poem and the kids. We’ve done stuff like that in the past and I saw it listed somewhere else as a challenge for this month… Fun times! Well, I have been known to be too animated, or too emotional. so often I try to tone it down. It’s sometimes a difficult balance to have just the right emotion for delivery so that the poem doesn’t come off sounding sappy or overdone. I try to let the poem speak for itself, but bring just the right tone to each, depending on the poem. I think my one for the 9th is a good example of that. This one just called for a children’s story telling tone. can you explain the poem to me? Well, I could give it a try. There is a simple explanation, and then there is one that’s maybe a step deeper. But maybe you could teach me a little as well. Maybe you find something in there that I didn’t see. Why don’t you tell me what you got out of the poem and we can go from there? So while Micah is ahead of me and ready to share with you his next recording for National Poetry Month, I am running behind. But, hey! I finally got my taxes done, so there’s something. So as we arise from this weekend into the full light of National Library Week, here’s a flashback from six years ago when my boys, their mother, and I hung out in the park from the library where I used to work. We wrote poems with sidewalk chalk, sang songs, and of course recorded some poetry. Check it out!